Hello Cheapo Die Fans!! 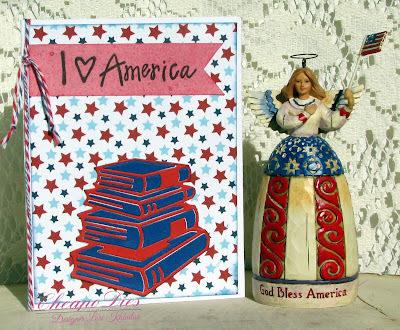 Lori here today with a card made with the Exclusive Cheapo Dies Stacked Books die. For my A2 card I started with white card stock for the base of the card. I took the red, white & blue star paper, inked the edges with Faded Jeans distress ink and added that to the base of the card. I took the Exclusive Cheapo Dies Stacked Books die and cut it out twice, once with red paper and once with royal blue paper. I inlaid the royal blue pieces in the red stacked books and added that to the card. I took a piece of red paper, black ink and the I love America stamp and stamped that onto the red paper. 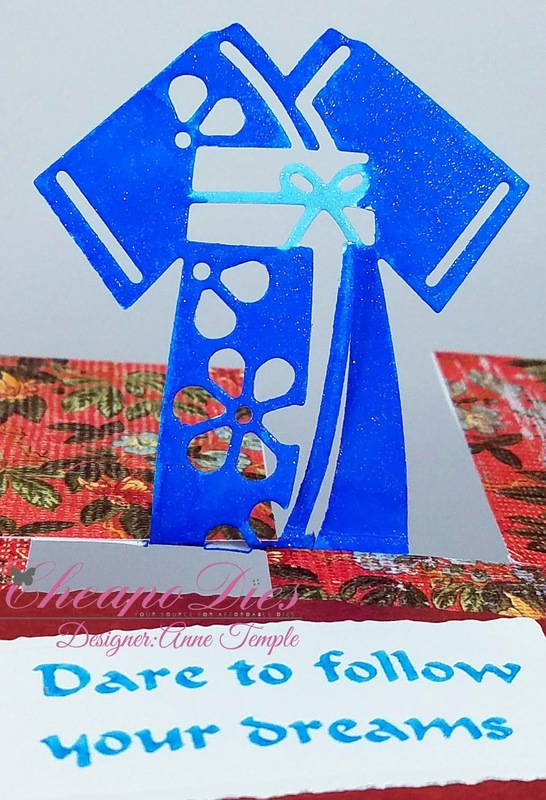 I cut out the fish tail end and added the banner to the card. I took some blue & white bakers twine and some red & white bakers twine and wrapped them around the card and tied them in a knot. 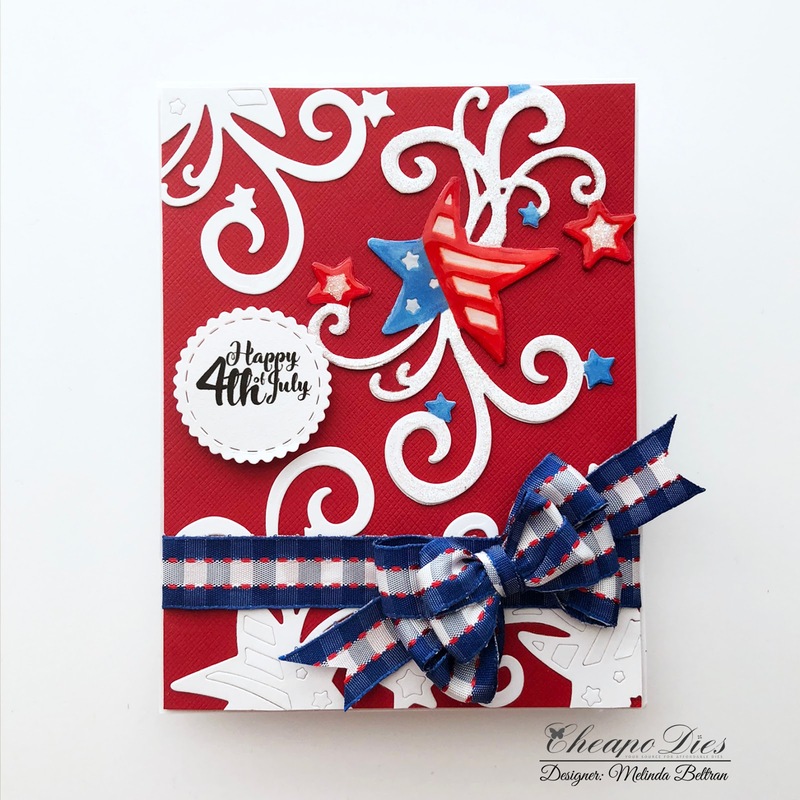 I know this is a traditional Patriotic card, but with 4th of July just around the corner I just had to make something in red, white & blue! Hope you all have a safe and fun 4th of July!! Anne here and today I'm trying my hand at an "Impossible Card", which is so popular at the moment. They are really easy to create and you can find tutorials all over the internet. I used the one from SplitCoast Stampers. 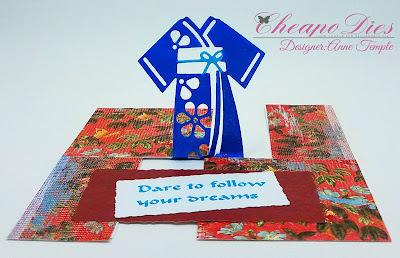 I used the new Kimono die and followed the guidelines for the second card shone on the tutorial. 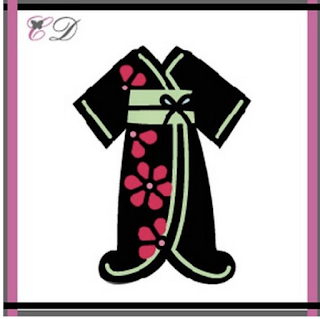 Once everything was ready, I colored the Kimono with Spectrum Noir Sparkle markers and adhered patterned paper to my card base. The sentiment was stamped with Versacolor ink and heat embossed with Clear embossing powder. This was so easy to make that I'll definitely be making more in the future. For additional details, please visit my blog Anne-Made. Vickie Y sharing a card to celebrate the 4th of July here in the USA! I created a tall card, 4 1/4 inches x 9 inches. 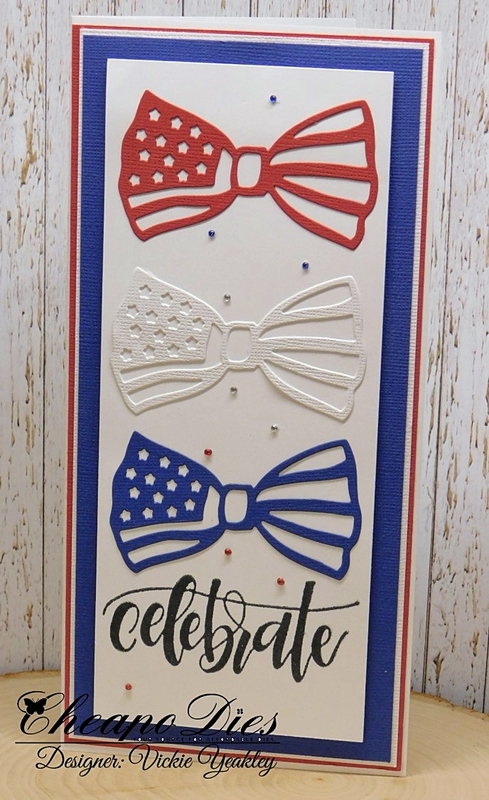 Die cut the Patriotic Bow 3 times using red, white, and blue cardstock. I embellished the card using "nail art" gems in red, white, and blue. 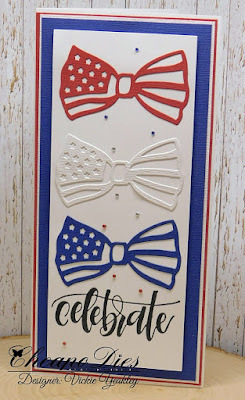 Hi ya peeps, DT Carolyn here to share a card made with a super fun & versatile die from Cheapo Dies that is available now in the store. This fun die is very versatile and can easily be used in separate projects or all together at once. 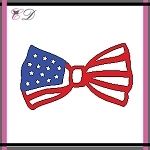 The die is called Patriotic Bow and can be found now in the Cheapo Dies store in the exclusive section. I chose to use glitter cardstock and adhered it to a white background to make the image stand out more. I always love a little glitter and it adds a little dimension. 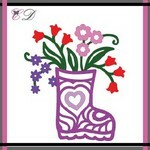 Don't forget to stop by the store and blog for new designs created by the DT. Happy Crafting! Welcome to another Terrific TuesDIE! 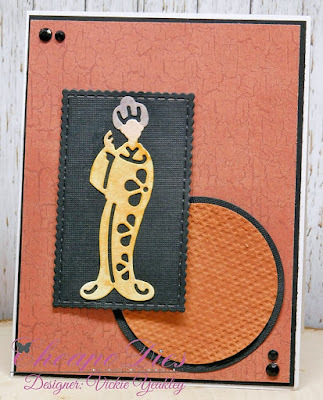 Today I am sharing a fun card I created with the Cheapo Dies, Star Flourish Die. Here's a look at my completed card. I used a base of white cardstock. I then cut a mat of red cardstock the same size. I then cut out several of the star flourish die cuts from some white cardstock. I then colored some of the stars with blue and red copic markers. I then added some glaze to them and some glitter to the flourish swirls as well as the center of the medium stars. Here's another look at the main die. I then created this fun sentiment and printed it out on some white cardstock. I used one of the scallop stitched circles from the set to cut it out. I finished off my card by using some fun red stitched blue and white plaid ribbon. 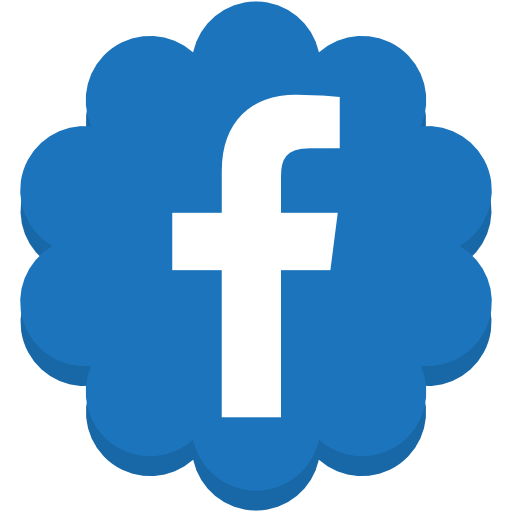 I created with a Patriotic Theme. As always, thank you for stopping by! 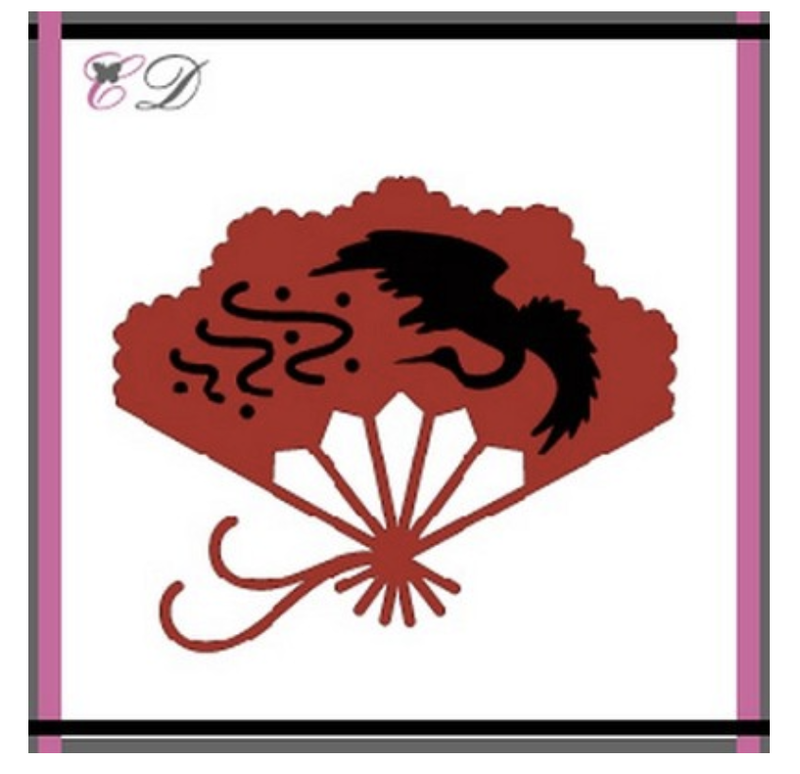 Be sure to head over to the Cheapo Dies Shop and add to your die stash! Until the next time, have a wonderfully crafty day! Gloria here today, I want to share with you a pastel color card using gorgeous Boot Boquet die from Cheapo dies. For create this card, I colored pink, orange and blue on the watercolor paper with Kuretake watercolors and die cut the flower part. I die cut for the green, blue part using green, blue card stocks and blended some part of die cut with Distress inks using mini blending tool. I die cut the circle on the white card stock with unbranded dotted circle die and adhere the cut parts on the white circle die cut with glue pen. I die cut the flower part five times with light pink card stock for the background. And adhere the the cut papers under the white circle panel with glue pen. Happy Saturday! Lori here today with a Wedding card I would like to share with you! 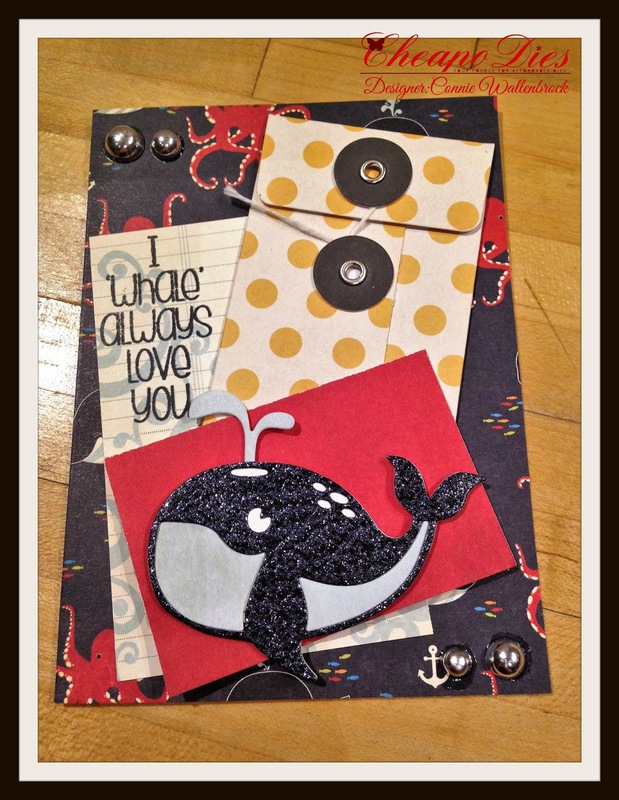 I made this card using the Exclusive Cheapo Dies Lucky Horseshoe die. For this A2 card I started with white card stock for the base of the card. 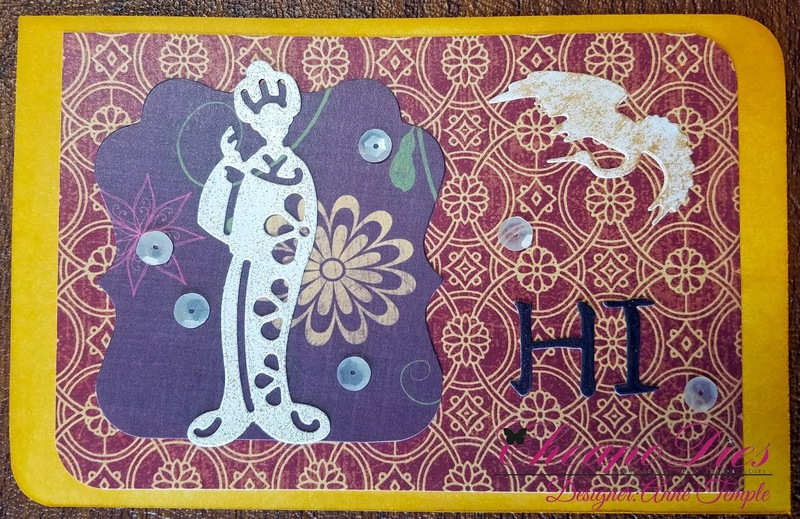 I took a piece of beige Lemoncraft paper and my Lifestyle Crafts embossing folder and ran that through my Big Shot and then added that to the card. I took some silver shimmer paper and the Exclusive Cheapo Dies Lucky Horseshoe die and cut that out. I took a piece of vellum and the Mr. and Mrs. stamp and some Versamark and stamped the Mr. and Mrs. onto the vellum between the gold hearts on the vellum. 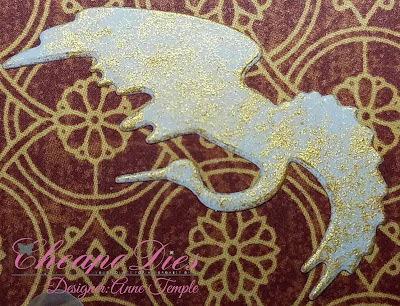 I heat embossed that with Gold embossing powder and attached the horseshoe to the vellum paper. 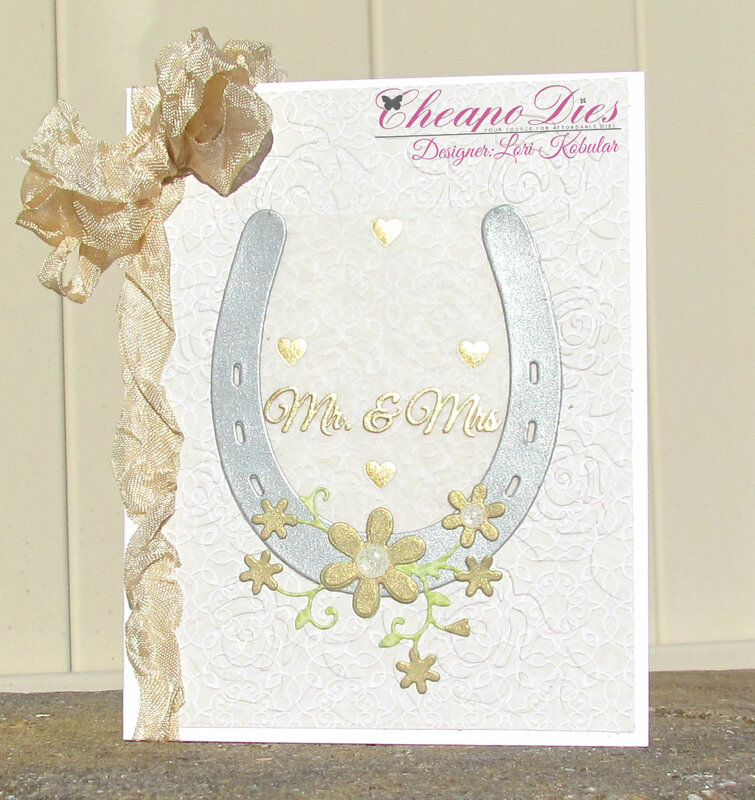 I fussy cut around the top of the horseshoe and added that to the center of the card. 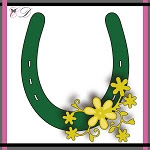 I took the flowers die that comes with the horseshoe and cut it out twice, once in gold shimmer paper and once in green paper. I cut the gold flowers off and placed them on top of the green flowers and then I took some gems and added them to the center of the 2 bigger flowers. I took some DL.ART Crinkle Ribbon and wrapped it around the left hand edge of the card and then made a bow at the top. Please be sure to stop by the blog often for some inspiration on how to use your dies!! 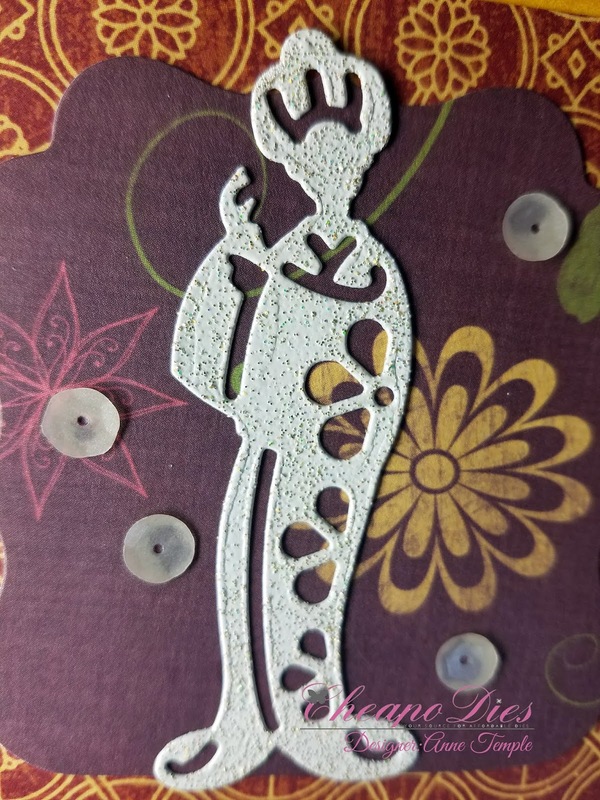 Hey everyone, Anne here with a new project using the Geisha die and embellished with some negative pieces left over from one of my Fan die projects. 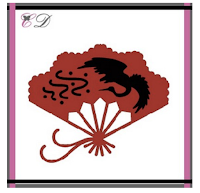 I began by die cutting the Geisha from white cardstock and then applying VersaMark over the entire die cut and heat embossing it with Gilded Ivory embossing powder. The crane was given a bit of color from Nuvo Embellishment Mousse (Indian Gold). Nuvo Sequins (Vanilla Delight) were added here and there for added eye candy 😀. The sentiment was given a bit of extra bling by coloring the letters with a Spica glitter pen (Lavender). For additional details, please visit my blog Anne-Made. Vickie Y sharing an easy to create all occasion-type card using the Exclusive Cheap Die Geisha. The die was cut out using watercolor paper and colored using Zig Clean Color Real Brush Pens and an aquabrush. 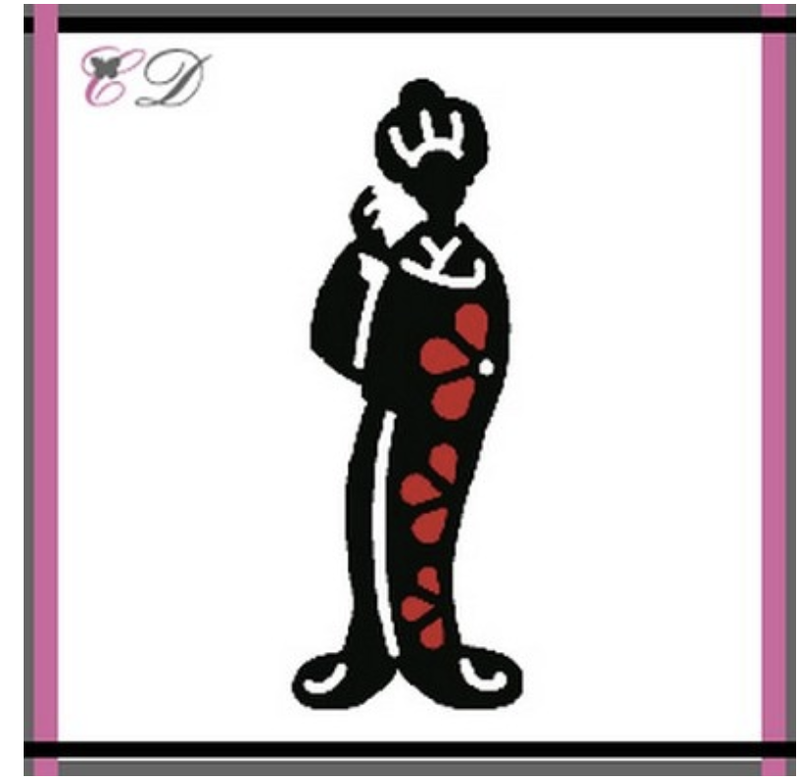 The die cut was adhered to a black stitched scalloped rectangle die cut and anchored onto circle die cuts. 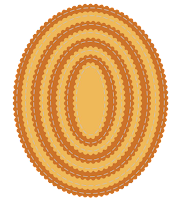 The inner circle provides some texture from an embossing folder. 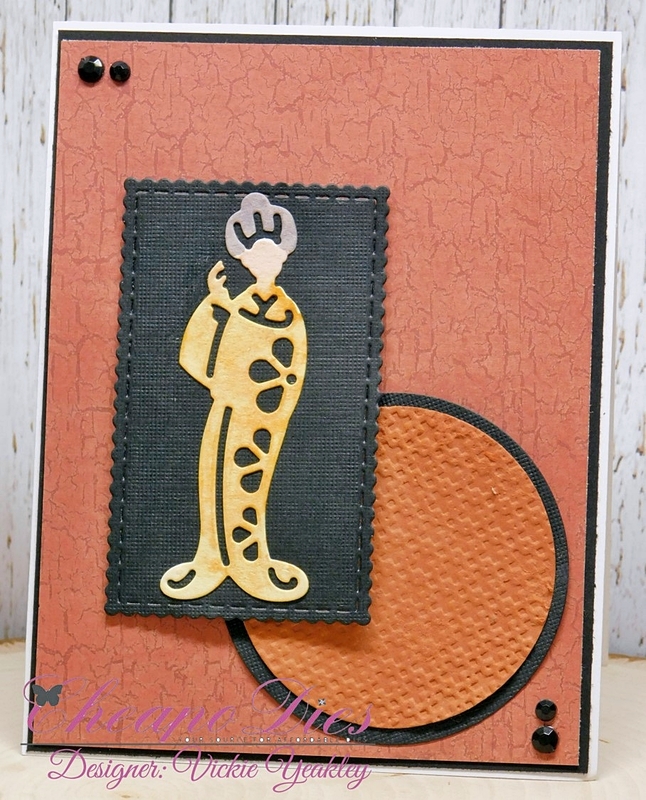 Hi ya peeps, DT Carolyn here to share a card made with a super fun & versatile die that is available now in the store. This fun die is very versatile and can easily be used in separate projects or all together at once. 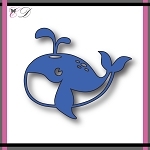 The die is called Daddy's Fishing Buddy and can be found now in the Cheapo Dies store in the exclusive section. I chose to use the fish for a different look, fastening them onto a dark background. This makes the fish pop and adds a little dimension. 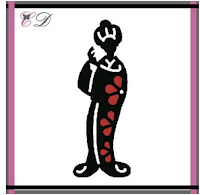 Don't forget to stop by the store and blog for new designs created by the DT. Happy Crafting! 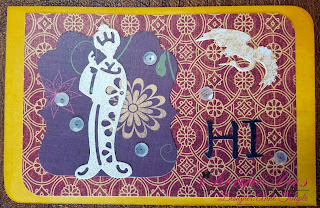 Today I am sharing a cute card I made with the Cheapo Dies Exclusive Airplane Die. Here is my completed card. 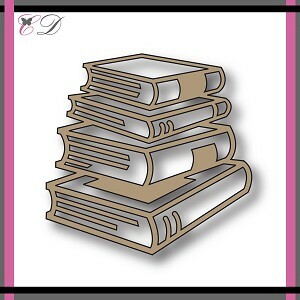 It is an A2 size white cardstock, top folding base. 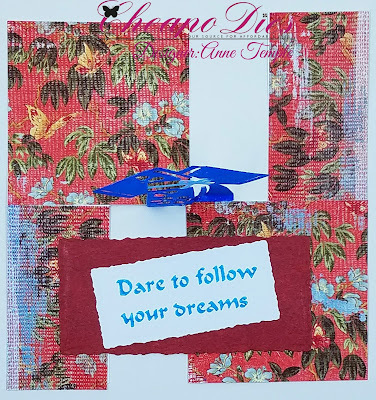 I then cut out a mat from some blue cardstock and then used some of the patterned paper from the Doodlebug paper pad for the patterned papers. I used four of the cross stitched square dies from the set and cut them all out in white cardstock. 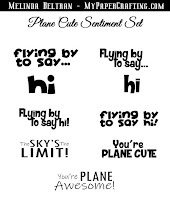 The focal point of the card is this fun little airplane die from Cheapo Dies. I cut it out in white and green cardstock. I then pieced the various layers together after I used my Copic markers to color the red, blue, black and gray pieces. 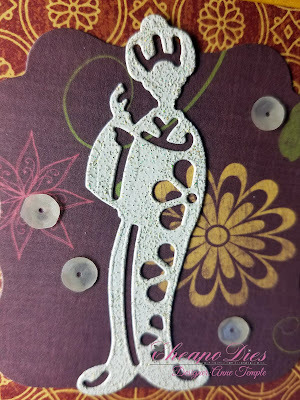 I then used my scallop stitched oval die set to cut out a few of them in white cardstock. I lightly inked the edges of them. For the smaller one on top, I created and then printed out my sentiment and then cut it out with my die. For the smaller sentiment, I cut it out after I printed it and mounted onto the smallest square die. I finished off the card by adding a little twine and then some fun sequins for some extra bells and whistles! Here is one last look at my completed card. I thought this turned out so fun! 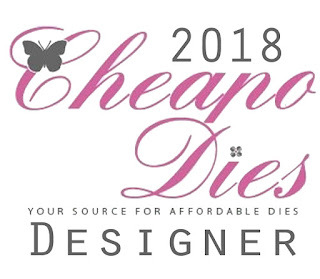 Make sure you head over to the Cheapo Dies shop and grab some of their dies. They cut beautifully and are so reasonably priced! 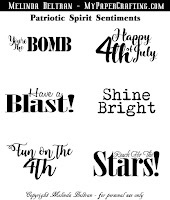 I am offering this cute little set of printable sentiments I created for free. They are .jpg images you can print.